BREAKTHROUGH SCORES WITH “TRIES FOR FRIENDS”! The Hong Kong national men’s and women’s Sevens squads have returned from their European tour, and along with some invaluable competition time and a nice bit of silverware for the Union trophy cabinet, the try-scoring efforts of FONG Kit-fung and MAK “MK” Kwai-chung for the men and Christy Cheng for the women have also triggered an impressive donation of HK$60,000 to local charity Operation Breakthrough! Operation Breakthrough uses sport as a medium to help at risk local youngsters, and its 10 different sports sections are run by volunteers who are mainly current and former police officers. The programme has had many success stories on and off the sports field during its 20 year history, including 23 youngsters who have gone on to become police officers themselves. Breakthrough was selected as the beneficiary of a new funding partnership entitled “Tries for Friends”, supported by Friends of Asia Hong Kong and the HKRU Community Foundation (HKRU CF). Friends of Asia Hong Kong’s mission is to inspire and provide resources to disadvantaged children and youths by donating and matching funds to develop important programmes and events within the context of sports, education, health and wellness. 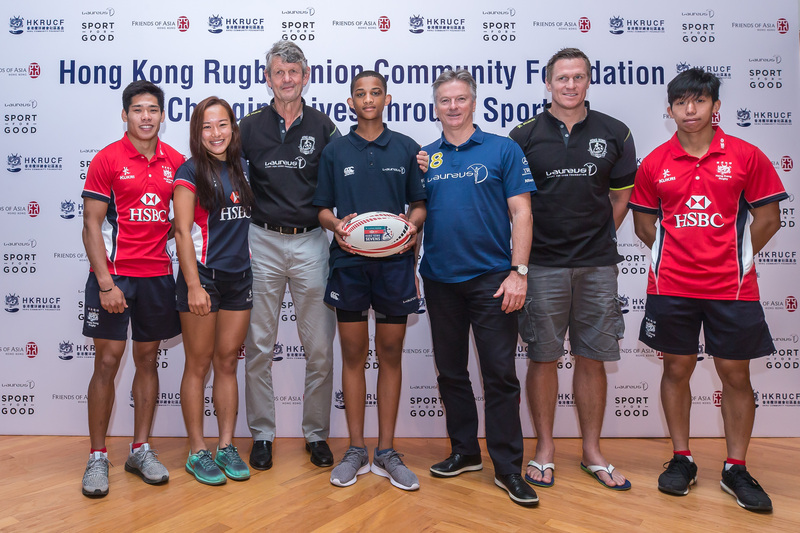 This aligns very closely with the aims of the Community Foundation, and Friends of Asia Hong Kong were announced during this year’s Cathay Pacific/HSBC Hong Kong Sevens as the official charity partner of the HKRU CF. Through this partnership came the “Tries for Friends” idea, which sees both parties pledge HK$5,000 for every try scored by the three young men who have come through the Breakthrough programme and are now in the Hong Kong national 7s squad - FONG Kit-fung, CHONG Shun-hong and MAK Kwai-chung - alongside women’s international player Christy Cheng who has been a volunteer with Breakthrough for many years. The tries must be scored while on international duty representing Hong Kong at any time over the coming 12 months. Christy dotted down first at the Algarve tournament, with MK then hitting his traps and notching up an impressive hat trick of tries by the end of the first weekend. From there both teams headed to the Amsterdam 7s, where Christy found her way to the try line once again, and Kit-fung joined in with one of his own, to give the trio a grand total of 6 scores, and a very nice donation to a very worthy cause.